Being with a Sugar Daddy should be a fun and stress-free experience for a Sugar Baby. Who doesn’t want to be spoiled and enjoy perks such as first-class travels, shopping, and paid-for spa sessions? However, to be in a sugar relationship you have to first find a sugar partner and that can be a stressful and confusing process at times. It requires time and patience. It is very easy to fall for a wealthy man who can provide for you but to be in a relationship, more than just that is required. Sugar Daddies are human beings with different interests as any normal person and this is something a Sugar Baby should consider before seeking a Sugar Daddy. Relationships are more than just a singular factor, you’ll need to click on many levels to survive as a couple. One such interest is traveling. Traveling may be your interests, hobby or sugar goal; whatever it is, traveling with your Sugar Daddy can do wonders. It can bring you both closer than you think. 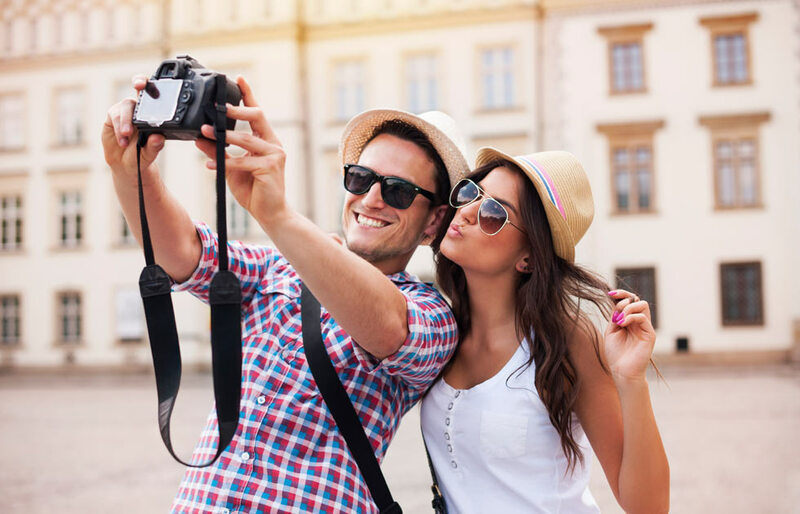 Here’s how you can find a Sugar Daddy interested in traveling and the benefits of traveling with your sugar partner. To get a Sugar Daddy when seeking a sugar daddy who is close to a lifestyle you want, you need to first know what you expect from your arrangement. Even before creating an online dating profile you should know what you’re looking for because that will help in filling the details on your profile. Even if you don’t list these physically you should mentally filter out things you are and you are not looking for. If you want to travel with your Sugar Daddy, you have to know how much travel do you actually want. If you’re a college Sugar Baby you might not ready to leave whenever he wants. The same is applicable to women with jobs. Are you looking to spend an occasional holiday with him or do you want a Sugar Daddy who travels a lot to business meetings abroad and you want to accompany him on each trip? Obviously, you can put all these elaborate details in your profile but they will come under discussion afterward. There’s a reason why every Sugar Baby doesn’t have a Sugar Daddy with them right now. Yes, each one of the Sugar Daddy is relatively wealthy, smart and mature but that doesn’t mean every one of they will be a good match with you. This is why it is important that you be patient when seeking a Sugar Daddy. Especially, when seeking a Sugar Daddy who’s interested in traveling with you, you’ve already excluded a lot of options. Make sure you mention that you love traveling your online sugar dating profile. Are You Prepared to be a Traveling Sugar Baby? Being a travel Sugar Baby requires several sorts of preparations. Apart from basic ones such as getting a passport made you will have to answer questions such as how available would you be? How do you plan to handle things at your job? Moreover, besides these preparations, you will also need to be mentally ready. This includes being grateful and not taking what’s provided to you for granted. You may think he was going to this destination without you too, but the fact that he took you with him is a reason for you to feel thankful. He is the one paying for your vacation and the only reason he is doing this is to make you happy. A Sugar Daddy understands that a happy Sugar Baby means he’ll have fun too. If you start feeling entitled or aren’t happy, you will not be a good friend or companion to travel with which will hurt your relationship and chances of being offered any other trips in the future. Being with a Sugar Daddy is not all about enjoying perks and benefits. It’s also about taking care of his needs. In addition to that, regardless of whatever might be going on in her life, a Sugar Baby is expected to on her best behavior and appearance when with Sugar Daddy. Traveling can further complicate the situation if you don’t act right. Make him feel that being on an adventure brings the best out of you. Make him see how he can benefit from you traveling with him. For instance, when he comes back from an all-day business meeting, it is your role to make him feel relaxed. That way he will see how great it is to come home to a beautiful girl instead of an empty room after a stressful day.